Primary care is the medical care provided by physicians (Medical Doctors and Doctors of Osteopathy), physician assistants, and nurse practitioners specifically trained for and skilled in caring for your overall health. Primary care providers are the first line of treatment for acute and chronic non-emergency issues and the point of contact for referrals to specialty care. Primary care professionals keep you healthy by providing preventive care, such as check-ups and immunizations; help you manage chronic illness, such as asthma or diabetes; and diagnose and treat a wide range of conditions, diseases and symptoms. Primary care providers are your health partners and work to help you achieve and maintain good health throughout your life. They will refer you to specialty care, when and if needed, and coordinate your care. Primary care providers can also connect you to other services you may need, such as dental care, substance abuse treatment, behavioral health counseling, and tobacco cessation resources. 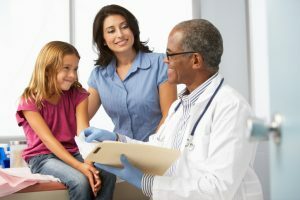 If you or a family member needs primary care services, Community Health Connections is here. Community Health Connections offers a wide range of services, including primary medical care, from dedicated and experienced health professionals. As a primary care practice, Community Health Connections provides patient-centered medical care and serves as a medical home where every patient receives the care and support they need. Community Health Connections’ vision is to be the leading healthcare center delivering primary care — committed to eliminating barriers to care and building a healthier tomorrow for the communities we serve.